Dr. Stitzer is a founding faculty member of the Behavioral Pharmacology Research Unit, a nationally recognized substance abuse research laboratory within the Department of Psychiatry and Behavioral Sciences at the Johns Hopkins University School of Medicine. Her research interests during a successful 40+ year career focused on both pharmacological and behavioral approaches to the treatment of substance use disorders including opioid, stimulant and tobacco use disorders. She has been continuously supported as PI on numerous grants, published over 300 papers in refereed scientific journals and received several awards for her scholarly contributions. She is best known for her pioneering work on Contingency Management in substance abuse treatment, an approach designed to enhance motivation for positive behavior change and a topic that she continues to pursue. 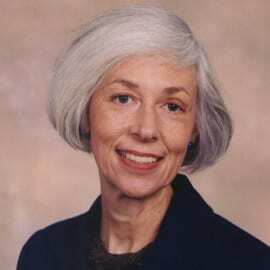 Since 1999, she has collaborated with Robert Schwartz, MD as Multiple PI of the Mid Atlantic Node of the National Institute on Drug Abuse Treatment Clinical Trials Network (CTN), in which multi-site clinical trials are conducted that test the effectiveness of substance abuse treatments implemented in community settings. Her research overall has advanced the understanding of substance use disorders and promoted adoption of evidence-based treatments into clinical practice. She is joining FRI as a Senior Research Scientist to expand post-retirement options for continued research affiliations. Winstanley E, Steinwachs D, Stitzer M, Fishman M (2012). Adolescent substance abuse and mental health: Problem co-occurrence and access to services. Journal of Child and Adolescent Substance Abuse. 21(4): 310-22. Subramaniam G, Warden D, Minhajuddin A, Fishman M, Stitzer M, Adinoff B, Trivedi M, Weiss R, Potter J, Poole S, Woody GE (2011). Predictors of abstinence: NIDA multi-site buprenorphine/naloxone treatment trial in opioid dependent youth. Journal of the American Academy of Child and Adolescent Psychiatry. 50(11):1120-8. Subramaniam G, Stitzer M, Woody G, Fishman M, Kolodner K (2009). Clinical characteristics of treatment seeking adolescents with opioid versus cannabis/alcohol use disorders. Drug and Alcohol Dependence. 99:141 49. Subramaniam G, Stitzer M, Clemmey P, Kolodner K, Fishman M (2007). Baseline Depressive Symptoms Predict Poor Substance Use Outcome Following Adolescent Residential Treatment. Journal of the American Academy of Child and Adolescent Psychiatry. 46(8): 1062-9.
https://friendsresearch.org/wp-content/uploads/2018/11/stitzer.jpg 270 270 awp-admin /wp-content/uploads/2017/11/fri-banner-logo-2.jpg awp-admin2018-11-04 18:16:072019-02-11 02:02:24Maxine L. Stitzer, Ph.D.